The range of wine cabinets from Wine Corner mean that whatever your storage requirements, there will be a wine cabinet to suit your needs. 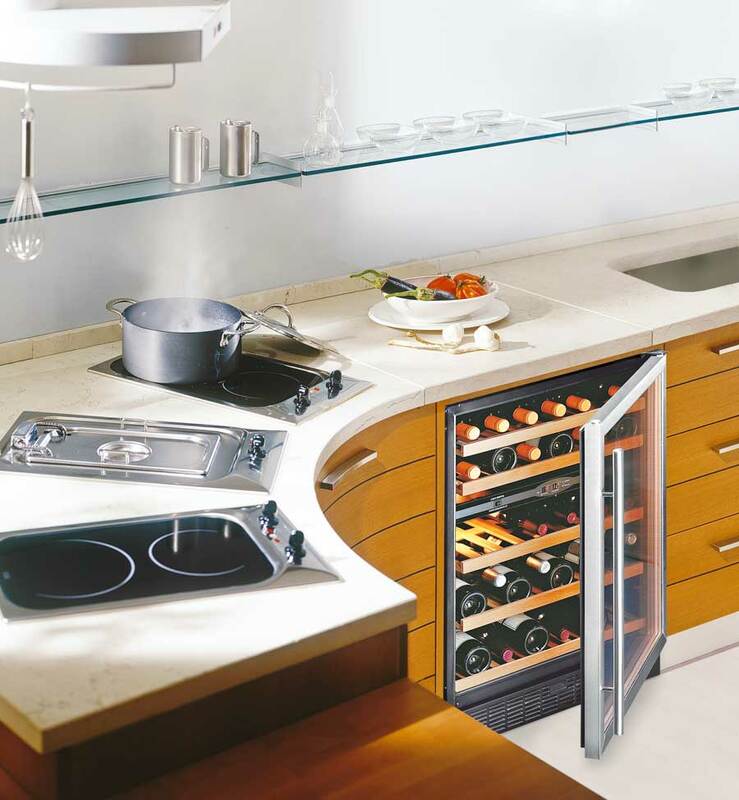 We have a range of integrated wine cabinets that can fit neatly into your fitted kitchen including our unique CI140 Wine Cabinet which allows you to add your own kitchen panels to the door. Our metal wine cabinets include freestanding and integrated models storing from 18 bottles up to 276 bottles. Wine Corner also offers wooden and wood panel wine cabinets that can store up to 552 bottles. Wooden and Wood Panel Wine Cabinets come in a variety of woods and can be finished with a matt lacquer in the RAL colour of your choice. All cabinets are either Mono, Dual or Multi temperature and may have a temperature difference of +3 or -3ºC between the top and bottom of the cabinet.